Clear crystal flame on black crystal base. 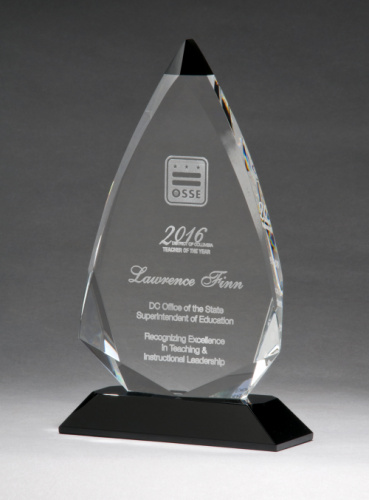 Produced from the highest quality optical crystal this flame award will show the recipient how important they are to your organization. 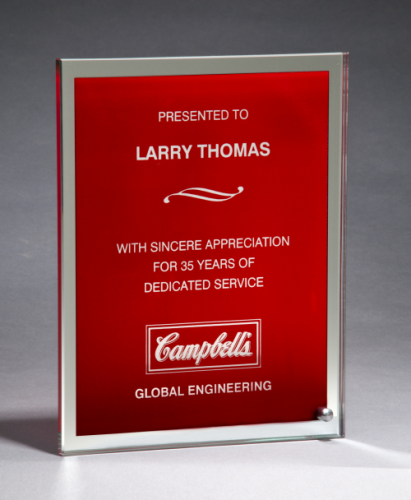 All crystal awards are suitable for laser engraving or sand etching. Packaged in padded, satin-lined gift boxes. Contemporary clear glass award with pedestal base. �" thick clear glass suitable for laser engraving or sand etching. Supplied with padded, satin-lined, gift box. Glass award with rosewood piano-finish base, gold metal accent. 3/8" thick polished glass. Individually gift boxed. Suitable for laser engraving or sandblasting. Glass plaque with red silk screened center and mirror border. Silver post allows portrait or landscape positioning. Silk screened glass laser engrave only. These glass plaques are packaged in satin-lined, padded gift boxes. 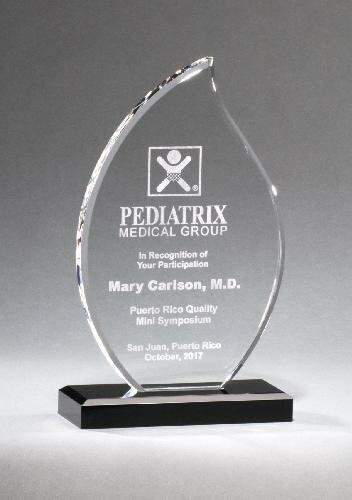 Personalize Your Glass Award with Four-Color Reproduction. 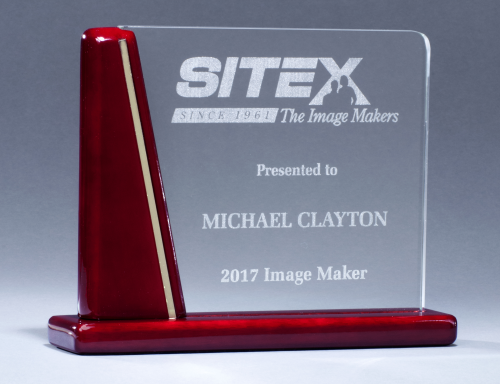 Personalize your award with four-color reproduction. Sublimatable glass plaque with decorative post allows portrait or landscape positioning. 3/8" thick glass. Individually boxed.